Maxol and AWARE are launching a series of community Mood Walks across the country to raise funds for AWARE while encouraging members of the community to come together and get to know your neighbours, all for a good cause. The inaugural Mood Walks will take place on Saturday 1st October 2016; the first is being organised by Maxol Ringsend in Dublin, which will also be the starting point, and the second Mood Walk takes place at Russborough House, Co Wicklow, which is being co-organised by the Maxol teams at The Crossings in Naas and Maxol N7 Services. The Ringsend Mood Walk will see walkers take a route from the Maxol Ringsend station to Martello Tower in Sandymount and back, a distance of approx. 5 kilometres. Maxol staff will greet participants at Maxol Ringsend where they will be provided with complimentary water, teas, coffees and fruit. The Russborough House Mood Walk will see walkers meet at 12 noon at Russborough House, where they will be given a talk about AWARE’s services before setting out on a scenic walk of 4 kilometres at these beautiful grounds overlooking Blessington Lakes at the foot of the Wicklow Mountains. Maxol will again provide refreshments to all participants. Already a well-established structure in Northern Ireland, the purpose of Maxol Mood Walks is to raise money for AWARE, all of which is put directly back into the services of the charity to help educate and provide support to people who may be directly or indirectly affected by depression. Maxol recently announced AWARE as its chosen charity partner for the next two years. “The AWARE Mood Walks supported by Maxol are already a great success in Northern Ireland and we’re thrilled to bring these walks to communities in the Republic of Ireland with the help of Maxol. “The Ringsend and Russborough House Mood Walks are the first in a series of community Mood Walks taking place throughout Ireland over the next few months. The Mood Walks are important as they encourage people to participate in light exercise, which has proven to be beneficial in the treatment of depression. 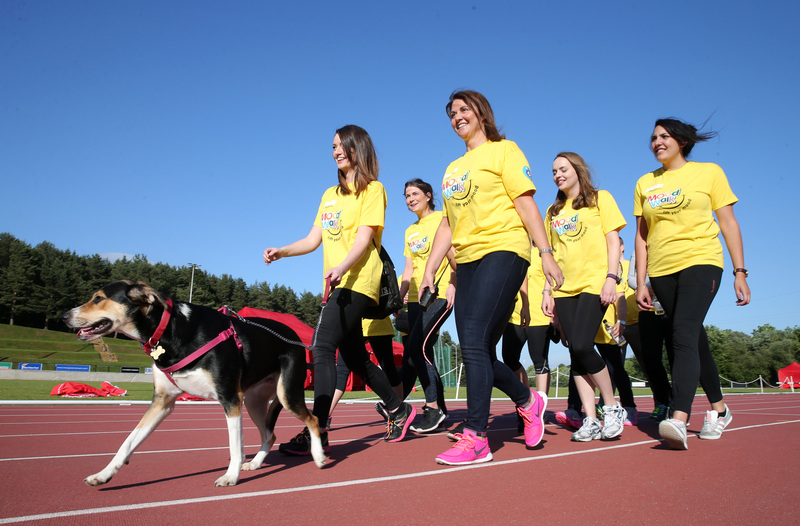 “Maxol is thrilled to support AWARE at the inaugural Maxol Mood Walks in the Republic of Ireland. We really encourage as many members of the community as possible to come out and enjoy some fresh air while getting to know your neighbours on these lovely scenic walking routes. To register for the Maxol Ringsend Mood Walk, just pop into the store at Maxol Ringsend. To register for the Russborough House Mood Walk, simply call into Maxol The Crossings or Maxol N7 services and a member of staff will help you sign up. The entry fee is €10 per person for adults and all kids go free. All participants will be provided with a free t-shirt upon registration on the day. For more information on Aware, please visit www.aware.ie and for Maxol www.maxol.ie. · Maxol has been investing and expanding in recent years and currently has a network of 234 service stations, of which 111 are company owned.